The foremost reason behind Google’s success is that they know what the users want and what users will need in future , so they often comes up with innovative ideas. When Google launched Google Glass in February , everyone expected it to be a huge success. So Let’s first give a look into what is google glass, what it does etc. A Microscopic View on Google Glass? 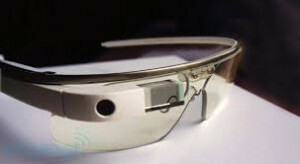 Google Glass (aka Project Glass) is the first wearable computing device, launched in February 2013. Google glass is not yet for sale. We have smart phones and other gadgets to send voice messages , GPS , click pictures etc. But when Google decided to create a unique gadget, it had to be unique. Now google has unveiled a smart spectacle which is completely different from our fashionable and eye sight spectacles . It works as a camera, video recorder, GPS, translator etc. Its working depends on a prism and projector which make the image on the wearer’s retina. Camera captures video and photo and images or videos can be shared with others. Microphone takes command to take action .It uses the internet to receive and reply emails .It sends voice messages via microphone and receives messages via speaker phone and a tiny battery provides power to google glass to perform . Why Google Glass is going to be a next big thing ? It looks slightly different from a common spectacle but it is full of marvelous technology . We can’t capture a scene by our common glasses, we can’t even record a video by our smart phones , if our hands are tied with rope but google glass make it possible without touching any button. We can capture photos or videos via voice commands. It has a microphone inside the frame which takes voice command to use the functions. It shows text messages and emails on its display and allow us to reply of them via voice commands .We can record and share what we see live. If you go somewhere without having a Smartphone or GPS device in your hands, you need not worry about map, google glass will dictate the way and tells alternate way in case of traffic jam .It has a prism projector which makes its display. We can get rid of the wrist watch because it tells time and notice wearer’s daily routine. It gives weather updates and tells temperature also. If you are thinking about to go on world tour and don’t know more than two languages , so don’t get panic it will help as a translator also. It can translate your voice in many languages, for instance say ‘translate hello in Chinese ‘ and it will give you the proper word of hello in Chinese . We can ask whatever we want it will search answer from the internet and shows on its display . It also works as a voice transmitter . Profile of a person can be seen on its display . It has a touchpad on its frame to control functions . It is made of very strong and flexible metal. Fibre is also used to make its frame. Google Glass has a 5 megapixel camera on the front of its frame which gives a good quality. It shows a recording light while the video is recorded. It has a touchpad on the right side of its frame which is used to control the functions displayed on its screen. We can scroll up or scroll down its function with the help of the touchpad. A microphone is inbuilt inside the frame of the glass to receive voice commands and send voice messages to other people. Google glass has a prism and small projector which makes image directly on the eye of the wearer. Position of image depends on the position of the prism and the projector. A speaker phone is available on the right side of the frame to hear a voice messages . It can be said a marvelous innovation but it has some drawbacks. This is what google has it in its index, when you search for “Google Glass is ”. It is not comfortable for daily usage. The main problem is that it is heavy in weight in comparison to other normal lenses, which creates irritation. We can’t use it whole day because its battery backup is only for about 4 or 6 hours and after that we need to charge it. It can divert the mind of a driver while driving and can create worst situations for others also.We can ask whatever we want and check emails on google glass which can disturb our concentration while driving. It has a camera on its frame and wearer can click pictures without the permission of other people, so you are not allowed in a private meeting with this glass to keep information safe. Though it is good to experience a life of a spy. Conclusion: – It’s too early to predict the future of Google Glass and with Apple’s i-watch coming, the competition could be huge but google is known for staying one step ahead of it’s competitors. It’s really an awesome device….